This 2/2 home offers comfort and space. The kitchen, dining area and living room blend together and the adjacent bright and spacious "activity room" offers additional space for entertaining, game room or an art studio. Many upgrades have been made to the home including new rustic look laminate flooring, wood counters, paint and custom fixtures. Outside features a large metal shop building with washroom, garden area and a small workshop for tinkering. Enjoy time on the covered deck that is the length of the house, hot tub fun out back and the sounds of the creek. The land is very usable and there is room for more development. There is a 20,000 watt hard wired automatic whole house generator system and a wood fire place for winter comfort. 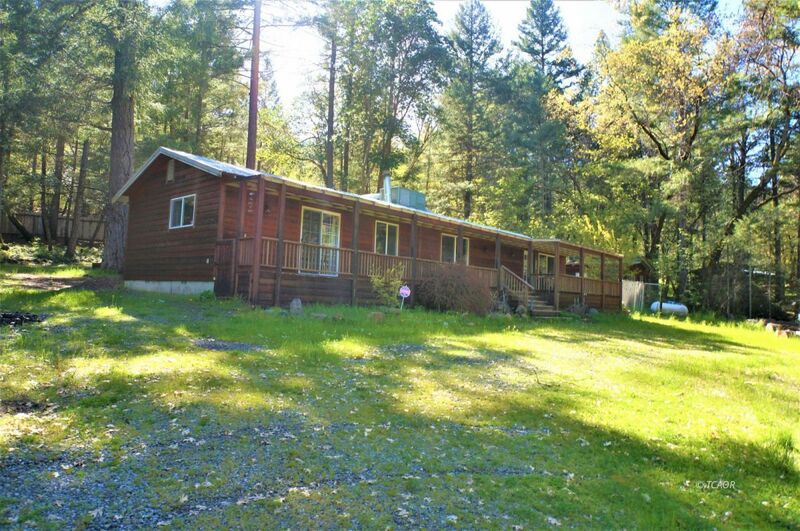 All of this sits on 1.5 acres and an adjacent 1.2 acre parcel is also listed for sale. This is a must see property!